Hello and Happy Friday! It's Melinda with you today and I'm sharing a layout I created using the Bunnyville Collection for a theme outside of Easter. Making the most of your products is the best way to get value for money so don't always feel as though you have to stick with the theme of your products. 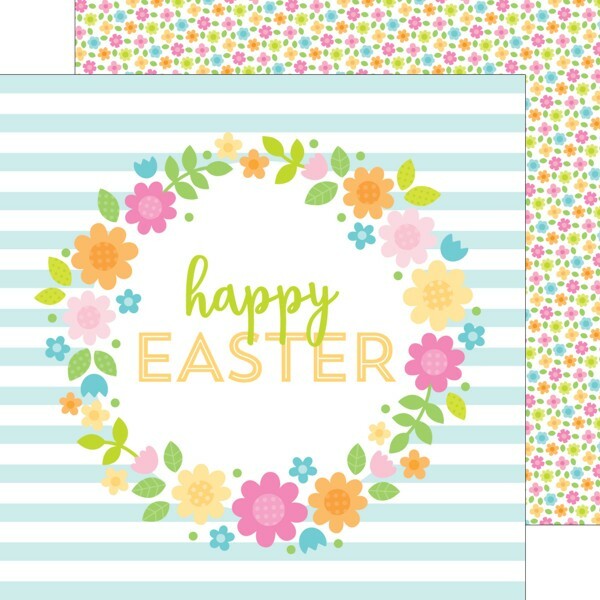 As soon as I spied the Bunnyville Collection I knew I had to use 'Happy Easter' patterned paper... it just screamed 'fussy cutting' to me! 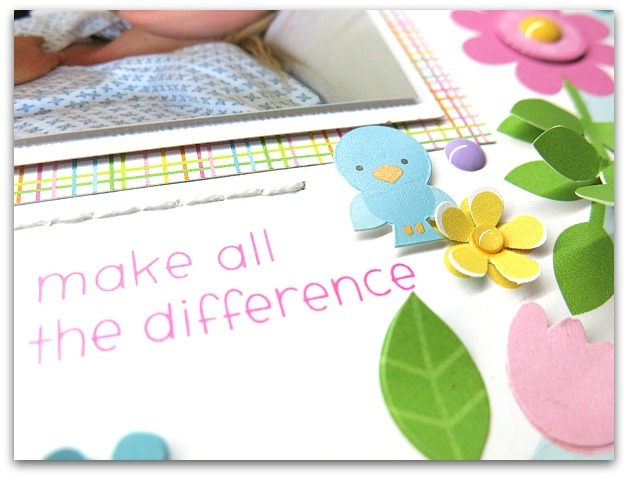 However, I also knew that I really wanted to scrap the photos of my daughter's recent stay in hospital as she recieved some beautiful flowers from friends and I thought the paper would be perfect. To create the dimensional appearance I hand cut each of the leaves and punched the remaining flowers and flower centres from a second sheet of the same paper. Adding a bit of bling to the flowers using Sprinkles also helped with adding extra dimension and cuteness. I wasn't having a very good day with hand journaling and after several failed attempts I decided to use the printer. Sometimes you just have to do what works. That's it for today. I hope everyone has a happy Friday and don't forget to pop by tomorrow for another Bunnyville project from Kimberly. Wow! 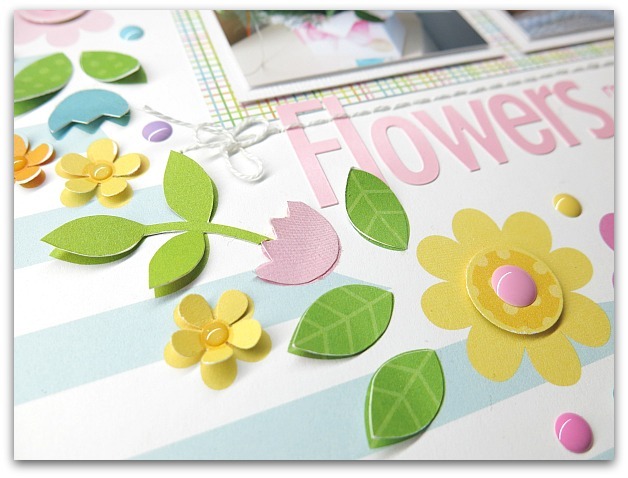 What a fun use of the floral wreath paper--Love all that texture! I too hope your daughter is on the road to a full recovery. 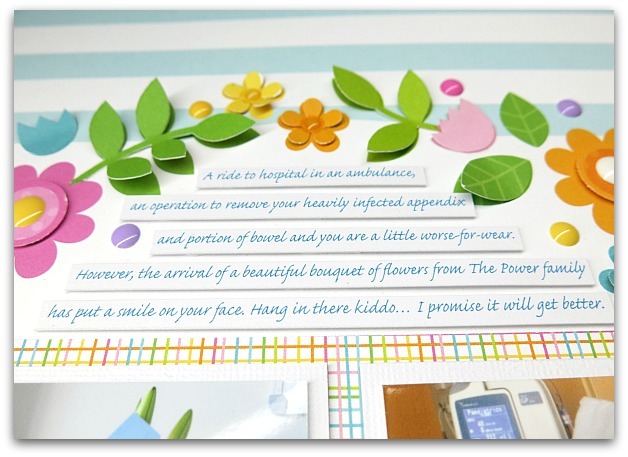 Love all the fussy cutting you did! Such an awesome page!! Hope your daughter is doing okay!! Hugs! Love the wreath of flowers! Love how you embellished the wreath! !